Finding a new car can be one of the most stressful and fun adventures that you can go on. The sheer number of models available these days, in combination with the drastically different technological features, can get overwhelming. That’s where Johnson Motors of Menomonie comes in. Since 1925 we have been helping Wisconsin Buick, GMC, and used car shoppers find what they are looking for in a friendly neighborhood environment. Our easy going dealership prefers to keep things as simple as possible, and to provide our customers with the kind of experience that they would want to come back to. This even includes customers that aren’t buying from us. We have developed the Show and Sell program for locals to come to sell their vehicle to us, even if they aren’t buying from us. We believe that the people of Menomonie provide an ultimately better-used vehicle than the ones that we could find at auction. If you are in the market to sell your current vehicle, even if you aren’t shopping for one of ours, please give us a call to set up an appointment. We will inspect your vehicle and give you a real market offer for your vehicle. By striving to purchase local, this also means that we have one of the highest quality used car dealerships in Menomonie, WI. Buick and GMC go together like cheesecake and strawberries. Each brand offers the kind of indulgence that you often don’t see in this price range, and back that up with a great warranty program. What you will find from the new Buick and GMC is many added safety features, great tech features to make the car driving experience even more fun, and a level of comfort that you have to feel to believe. All car seats feel comfortable on a 5 minute test drive, but only a few truly well built seats feel great after a long road trip. Come see why many shoppers enjoy the interior comforts of Buick and GMC. Finding a quality used car can be even more stressful than shopping for new. The reason being is that you don’t know the full history of that vehicle, and often leave your hopes with the dealership you are buying from. 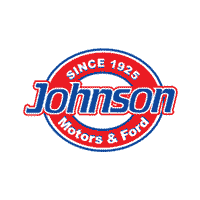 At Johnson Motors of Menomonie, each of our used cars gets a thorough inspection and maintenance. We want to be known as the best place to find used cars in Menomonie and do our part to make sure each of our vehicles is up to our quality standards. To truly appreciate the detail put into our used vehicles, though, you really need to see them in person. The quality work that our detailing team puts in is immediately noticeable.